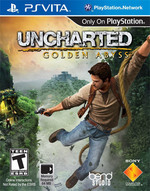 Overall, Uncharted Golden Abyss is a must own for fans of the franchise and Vita owners alike. In fact, if you just enjoy a good old fashion Indiana Jones style adventure, then Golden Abyss is right up your alley too. The visuals are solid, the sound is fantastic and the varied gameplay keeps things interesting from beginning to end. As far as Vita games are concerned, Golden Abyss is very good game and one you can purchase with confidence. 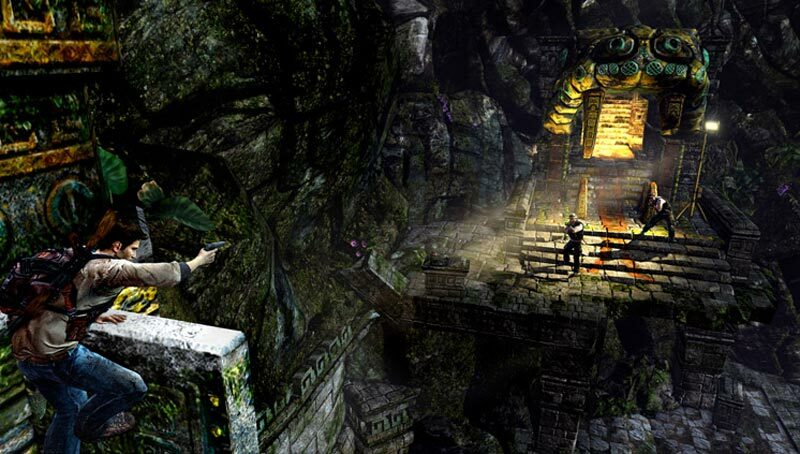 I don't mean to sound like I'm being hypercritical of Uncharted: Golden Abyss. The game is great and an impressive launch title for the PlayStation Vita. 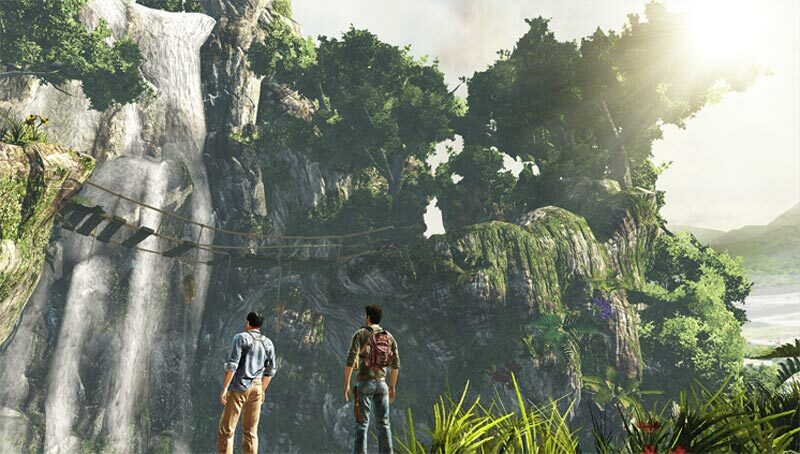 It's just that the Uncharted series has been known for being a story-driven experience, and Golden Abyss goes in another direction. Having that time-tested gameplay on the train home rather than having to fight for control of the TV is a valuable asset, and The Golden Abyss translates the console feel over to a handheld incredibly well. 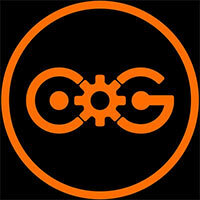 Innovative it ain't but hey, all games can't be broccoli. There has to be some junk food thrown in there every once in a while. 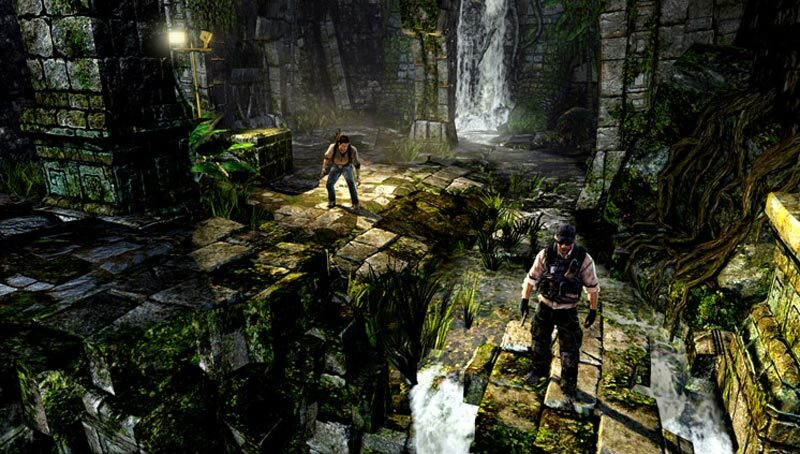 While the game doesn't quite reach the level of bombast found in the console iterations, Uncharted: Golden Abyss sets a high bar for what portable gaming is capable of, setting a promising benchmark for what Sony's latest portable powerhouse can deliver. 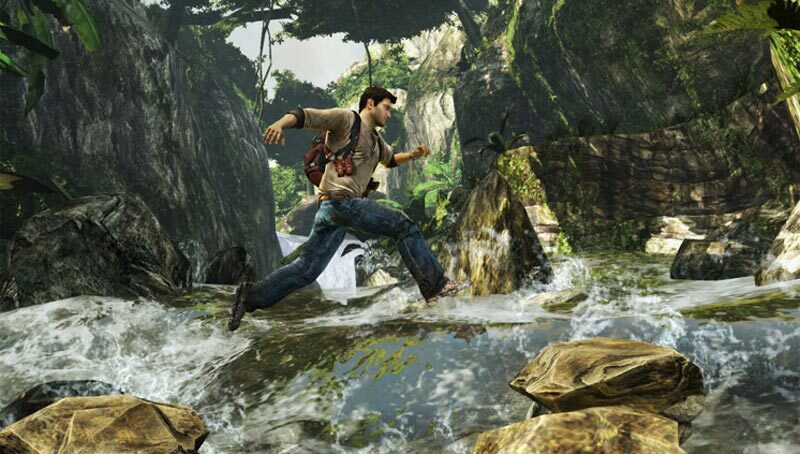 With Uncharted: Golden Abyss we have the first must-buy for Sony's PlayStation Vita. It takes the series' much-loved gameplay, storytelling and presentation, and adds on innovative touch and tilt features to make a game that fits perfectly alongside its predecessors. Prepare to be amazed by a portable videogame. Sadly, that's the closest you're going to get to any multiplayer in Golden Abyss, which is disappointing given how fun it is in Uncharted 3. But then, Golden Abyss is full of disappointments. The action set pieces are great, but there's too few of them; the voice acting is exemplary, but the narrative doesn't do it justice; the touch and motion controls work well for some actions, but they ruin others. We shouldn't be too harsh on Sony Bend, however, because for the vast majority of the time, Golden Abyss is a cleverly constructed game that more than justifies its addition to a series already lathered in superlatives. 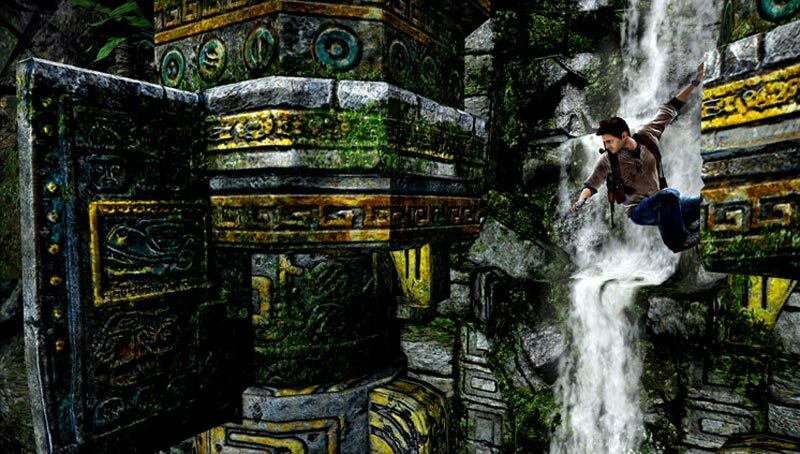 Uncharted: Golden Abyss gets most of the way there; it is a stunning exhibition piece for the Vita’s power and graphical capabilities (and a more subtle exhibition piece for its gimmicks), and it’s a smart, modern take on treasure-hunting fantasies with enjoyable characters and classical themes. Ein filmreif inszeniertes Abenteuer mit einer überragenden Technik, bei dem man trotz der durchschnittlichen Geschichte mitfiebert und die Vita erst dann wieder aus der Hand legt, wenn alle 34 Kapitel abgeschlossen sind. Und obwohl gerade das Ende mit den unsäglichen Touch-K(r)ämpfen einen Dämpfer bekommt, wird man sich beim Abspann zurücklehnen und sich sagen: Es war ja doch ein geiler Trip! Certes, les mécaniques de gameplay ont tendance à se répéter au fil des 34 chapitres et on aurait aimé davantage de séquences anthologiques, mais Uncharted : Golden Abyss remplit amplement son contrat et s'inscrit même comme l'un des jeux à ne pas louper au lancement de la PS Vita. Une valeur sûre, assurément.